The D3300 is Nikon's latest entry-level DSLR. 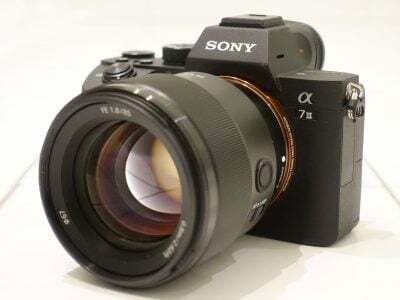 It replaces the D3200 with an updated sensor delivering the same 24 Megapixel resolution, but without the optical low pass filter for crisper results. Switching the sensor and coupling it with the latest EXPEED 4 processor also lets the D3300 support 1080p video up to 60p and slightly faster 5fps shooting. There's also a new kit zoom, which offers the usual 18-55mm range, but with a retracting design which collapses 2cm shorter than the previous kit zoom, while also weighing 70g less. The Nikon D3300 is the company’s latest entry-level DSLR. 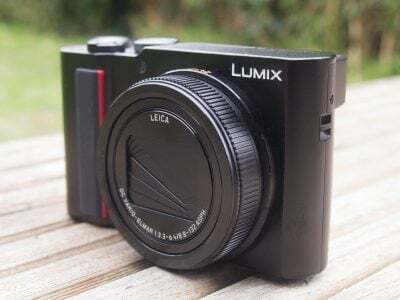 Announced in January 2014, it replaces the best-selling D3200 and like that model is aimed at beginners or those looking for a step-up in quality and control over a point-and-shoot camera without breaking the bank. Externally the D3300 body is almost exactly the same as its predecessor, although a new compact kit lens makes the overall package smaller and lighter to carry around. The new Nikkor 18-55mm f3.5-5.6G VR II kit zoom sports a collapsing design employed by many mirrorless kit lenses, allowing it to retract to a shorter length when not in use. A push of a button and twist of the zoom ring brings it into operation, at which point it’s roughly the same length as the previous 18-55mm kit zoom. But twist it back and it’ll retract down to 60mm – that’s 20mm shorter than the previous 18-55mm kit zoom and it’s 70g lighter too. Inside the camera the only change concerns the imaging pipeline with a new sensor and image processor. The resolution remains 24 Megapixels, but now without an optical low pass filter for slightly crisper results, coupled with the latest EXPEED 4 processor; I believe both are inherited from the D5300. The new sensor also supports 1080p video at 24p, 25p, 30p, 50p and 60p, while the continuous shooting is fractionally faster at 5fps. Otherwise the D3300 is the same as its predecessor, sharing the same body, controls, viewfinder, screen and AF system. Nikon mentions wireless sharing on the D3300, but this is only with the optional adapter as Wifi is sadly not built-in – for that you’d need the D5300 which also offers an articulated screen and superior AF system. In my review I’ve compared the D3300 with the Canon EOS SL1 / 100D. Canon’s diminutive entry level DSLR attempts to compete for market share with increasingly popular mirrorless compact system cameras on two fronts – it’s the smallest DSLR on the market and it has a ‘best of both worlds’ hybrid AF system. Read on to discover what the Nikon D3300 has to compete with that. Externally, the Nikon D3300 looks the same as the D3200 it replaces, but Nikon has somehow managed to trim 45 grams from the weight – the D3300 with battery and card (but not the body cap) weighs 460g compared with 505g for the earlier D3200. Comparison of the specs also reveals that the dimensions (for the record 124 x 98 x 75.5mm) vary by a millimetre or two and there are also some minor design changes. Viewed from the front the two models look very similar but from behind the contours of the slightly taller D3300 are smoother and more rounded with less of a slope. The button arrnagement is more or less identical – the only differences being a redesigned label on the i button and a slight repositioning of the Drive mode and delete buttons now more side-by-side than above-and-below. These new alignments allow for a larger and more convex thumb pad which actually does result in a more secure grip. Alongside the diminutive Canon EOS SL1 / 100D, The Nikon D3300 is by no means gigantic, as you might expect. Measuring 117 x 91 x 69.4mm the SL1 / EOS 100D is clearly significantly smaller all round, but with the respective kit lenses attached the difference is less obvious – the Canon 18-55mm kit zoom extending 78mm from the body compared with 60mm for the new collapsible Nikon 18-55mm kit zoom in their shortest configurations. The D3300 is a comfortable camera to hold, it has a deeper, more contoured grip than the SL1 / EOS 100D (though less space on top). On the top plate the Exposure compensation and info button (which toggles the rear info display) is joined by a dedicated movie record button which replaces the combined Live view / movie recording Lever / button on the rear panel of earlier models prior to the D3200. A new Effects position on the mode dial tells you that the D3300 inherits the effects modes introduced on the D5100, I’ll talk more about those in the Exposure modes section below. The front is unchanged with a programmable function button which provides direct access to image quality / size, ISO sensitivity, white balance or Active D-lighting settings. The flash button both pops-up the built-in flash and, when held down, allows flash mode selection using the command dial. There’s still no optical Depth of Field preview – a feature that entry-level Nikon DSLRs have long abandoned, but which Canon still offers on the SL1 / EOS 100D. On the other side of the lens mount in the recess is the AF assist lamp/Red-eye reduction lamp and on the handgrip itself you can just make out one of two IR receivers for remote operation using the ML-L3 – the other one is on the rear to the left of the viewfinder. This feature made a comeback on the D3200 after it was dropped on its predecessor and it’s good to see Nikon sticking with it on the D3300. Moving round to the rear panel, the screen is flanked on the left side by a row of five buttons – playback, menu, zoom in, zoom out and information edit. The zoom out button doubles up as a help display button and the information edit ‘I’ button allows you to change settings on the information display. I’ll talk about how that works in more detail in the handling section later. On the right side of the screen the four-way controller is flanked top and bottom by the Live view and drive mode buttons plus a delete button. The single soft cover that ran the length of the D3200’s left side has been replaced with two separate flaps. The top one covers the 3.5mm microphone input and the accessory terminal to which you can connect a cabled remote or the GP-1 GPS receiver. Beneath the lower one you’ll find the combined USB/AV out, so you can connect the D3200 to a standard definition TV, and a mini HDMI connector which is a better bet for those with HD TVs. The USB connector also takes the Wireless Mobile Adapter WU-1A which allows Wifi control via a smartphone. So although there’s been some re-arranging of the furniture, the D3300’s ports are the same as on its predecessor, the biggest disappointment being their continued relevance in the absence of built in GPS and Wifi. The D3300’s memory card slot is located separately from the battery on the right side of the camera body, which makes changing cards possible even when the camera is mounted on a tripod, the D3300 is compatible with SD, SDHC and SDXC and UHS-1 cards. It ships with an EN-EL14a battery which is a higher rated replacement for the EN-EL14 used by its predecessor. Nikon claims an impressive 700 shots per charge under CIPA standard conditions with the EN-EL14a which is a significant increase on the 540 shots its predecessor squeezed from the EN-EL14. Incidentally, if you’re a D3200 owner and want to improve battery life you can use the EN-EL14a in the earlier model, just make sure to upgrade your camera’s firmware so that it can take advantage of the newer battery’s longer life. Doing this will increase the D3200’s battery life to 600 shots – still short of the D3300, but a worthwhile increase just the same. You can also use the EN-EL14a in other compatible models including the D3100, D5100, D5200 and P7700, as with the D3200, all require a firmware upgrade for improved battery life. Where the battery life of Nikon entry level DSLRs is increasing, Canon’s is going in the opposite direction as a consequence of shrinking body size. The EOS SL1 / 100D uses the same LP-E12 battery as the EOS M from which it manages a comparitively meagre 380 shots – a little over half what the D3300 is capable of. The D3300 has the same popup flash as its predecessor with a Guide number of 12 (metres, 100 ISO) and a hotshoe for external flashguns. Flash compensation and power level is adjustable, and you can also choose from red-eye, slow-sync and rear-curtain options. The flash can either popup automatically or by pressing a button on the side of the head, which, if you hold it down, lets you quickly set the flash mode using the command dial. Once you’re finished it just pushes back into place. The D3300’s flash is a little more powerful than the Canon EOS SL1 / 100D (GN 9.4 (metres, 100 ISO) and it can also be used as a wireless controller with compatible Nikon units. The D3300’s screen is a fixed 3in LCD with a resolution of 921k pixels which puts it almost on a par with the 1040k pixel 3in screen of the EOS SL1 / 100D. It’s an excellent screen, but if you put the two cameras next to each other the Canon screen looks more detailed. The reason is due to the shape of the screens: the D3300’s is 4:3 shaped while the EOS SL1 / 100D’s has slightly wider 3:2 shape. Since the native shape of the images from both cameras is 3:2, they fill the screen on the Canon, exploiting all the pixels, whereas they’re displayed smaller on the Nikon with a black band at the bottom. In Live view the Nikon D3300 fills this space with shooting information which must be superimposed over the image on the Canon, but there’s no denying images displayed on the Canon screen look bigger and more detailed. The Nikon D3300 shares the same viewfinder specification as its two predecessors: a penta-mirror system delivering 95% coverage and 0.8x magnification. It’s nice and bright and provides a comparable view to other penta-mirror equipped DSLRs, if you want a significantly bigger, brighter view you’ll need to move up a notch to the more expensive pentaprism-equipped D7100. Information is displayed on a black horizontal strip at the bottom of the viewfinder. Compared with the EOS SL1 / 100D which also has 95 percent coverage but 0.87x apparent magnification with only a fractionally tighter crop factor, on paper at least, the Canon sounds like it’ll give a bigger view. But when I compared the view through the viewfinders of the two models, I couldn’t tell then apart, they both looked to be exactly the same size and brightness. If there is a difference, it’s so marginal that it’s not worth worrying over. The D3300 is sold with the new AF-S Nikkor DX 18-55mm f3.5-5.6 G VR II Kit lens. This lens replaces the earlier Mk 1 and the main difference, externally at least, is that it has a collapsible construction with a lock button. To extend the lens for use you press the button and twist the zoom ring clockwise past a latch to the zoom section. To collapse it again you press the lock button and twist it back. In the collapsed position the lens is 60mm long, extending to 84mm in the 18mm position. So by collapsing the lens you’re making it 24mm shorter. It’s not a massive reduction, but it does make a difference if you’ve got a small camera bag full of other kit, and revealingly it also eliminates much of the size advantage the Canon EOS SL1 / 100D has over it when also fitted with its 18-55mm kit zoom. When you’re carrying the D3300 around it’s not really wortth collapsing though. For one thing, you might miss a shot while fumbling for the lock button to extend the lens. I don’t see why Nikon didn’t go for a similar system to that used on the Olympus Micro Four Thirds 14-42mm zoom, which only requires you to slide the latch to return the lens to its collapsed state, not to extend it, but there you are. The VR at the end stands for Vibration Reduction, Nikon’s lens-based image stabilisation system. The D3300 body has no built-in stabilisation so whether or not you have this feature depends on the lens you use. The DX format Sensor results in a 1.5x reduction the field of view, so the effective range of the kit lens is 27-83mm. The D3300’s F-mount can accommodate most Nikkor lenses, but only recent lenses (i.e. type G, D, AF-S and AF-I) will support the full focussing and metering modes. Like its predecessor, the D3300 doesn’t have a built-in AF motor so older non AF-S lenses can only be used with manual focus. If you want to know if you can use your older Nikkor lenses with the D3300 there’s a full compatibility chart in the manual. Given the market for the D3300 it’s more likely that buyers will stick with the kit lens or buy new AF-S lenses and the range is constantly growing with recent additions including a raft of f1.8 primes: the Nikkor 28mm f1.8G, Nikkor 50mm f1.8G and Nikkor 85mm f1.8G; click each link to see our full reviews! The 50mm is particularly good as a portrait lens for the D3300 as the field-reduction turns it into a 75mm equivalent. To test the effectiveness of the 18-55mm kit lens’s VR stabilisation on the D3300 I zoomed it to its maximum 83mm equivalent telephoto focal length and took a sequence of shots in Shutter priority mode at progressively slower shutter speeds first with stabilisation off and then turned on. As you can see from the 100 percent crops below, the crop on the right is a little soft, but the Vibration Reduction system is capable of eliminating camera shake down to 1/10th – about three stops slower than conventional wisdom suggests. 100% crop, 18-55mm at 55mm 100 ISO 1/10th VR off. 100% crop, 18-55mm at 55mm 100 ISO 1/10th VR on. The D3300 shares the same exposure modes as its predecessor with the addition of the Effects filters from the D5200. A quick glance at the mode dial reveals PASM exposure modes helpfully corralled with a white outline, followed by the Effects position, six dedicated scene mode positions, flash off, full Auto (with scene detection in Live view) and finally Guide mode which I’ll talk more about in the handling section. There are three metering modes, the default Matrix metering uses a 420 pixel RGB sensor to meter a wide area of the frame and set exposure according to tone distribution, colour, composition and, with G and D lenses, distance. The other options are centre-weighted and spot, the latter using the AF area to spot meter. The D3300 provides exposure compensation up to a generous +/-5EV but Nikon continues to deny its entry-level DSLR customers any form of auto bracketing, so if you were hoping to use the D3300 for HDR work you’ll be disappointed. Of course there’s nothing to stop you manually bracketing exposures, but it’s really hard to understand Nikon’s motivation for persisting to deny users a feature that’s commonplace on entry-level DSLR models from Canon, Sony and other manufacturers. Active D-lighting, which has just two positions on the D3300, On and Off, is on by default and enhances the tonal range to retain detail in the shadow and highlight regions. D-Lighting can also be applied by post processing images in-camera via the Retouch menu in which case you have the choise of three settings. As you can see from the sample images below, Active D-lighting enhances shadow detail in scenes with a wide tonal range and, to a lesser extent, reduces blown highlights. As such I can’t see any reason you wouldn’t leave it in the default On position, unless noise was a factor. Accordingly, Active D-lighting was left in the Default on position for my outdoor real life resolution tests, but turned off for the high ISO noise testing. Turn the Mode dial to the Effects position and you have the choice of no fewer then 13 special effects filters to choose from – four more than on the D5300. The full list is Night vision, Super vivid, Pop, Photo illustration, Colour sketch, Toy camera effect, Miniature effect, Selective colour, Silhouette, High key, Low key, HDR painting and Easy panorama. Examples of the first six in that list are shown below. It’s a little disappointing, though not surprising, that the D3300 lacks features like auto braketing, HDR and the extended Active D-lighting settings available on the D5300. Disappointing, but not surprising that Nikon wants to maintain a degree of separation between its consumer models. The D3300 adds 1080p50/60 HD modes to those available on its predecessor, effectively providing it with the same video modes and capabilities as the higher end D5300. And although its built in mic is mono, not stereo like the D5300’s, it does have a socket for an external mic. From the top down, the full range of PAL video modes are 1080p50, 1080p25, 1080p24 720p50 and 640×424 at 25fps. For NTSC the 50 and 25fps rates switch to 60 and 30 with the exception of the 1080p24 mode which remains at a film-like 24fps. There are two quality settings, Normal and High. The D3300 doesn’t have a movie shooting position on the mode dial, you must first put the camera into Live view mode before pressing the movie record button. Unlike the EOS SL1 / 100D, which has a separate movie mode live view lever that displays a 16:9 view on the screen, on the D3300 the display remains in 3:2 mode until you press the record button. Pressing the info button switches to the ‘Show movie indicators’ overlay which places dark bands top and bottom to indicate the 16:9 movie area as well as displaying the movie mode, time remaining and audio level indicators. The D3300 sets the shutter speed, aperture and ISO sensitivity automatically for movie shooting, but setting manual movie settings to On in the Shooting menu allows setting of the shutter speed and ISO when the mode dial is set to the M position. You can even adjust the shutter speed and ISO during filming so long as you’re happy to put up with the clicking of the command dial which is easily picked up by the built-in mics. What you still can’t do though is change the aperture for the movie mode – as before, the movie mode inherits the aperture value from Live View, so the best you can do is preset the aperture before entering Live View, then start the movie mode. While this falls short of the complete Manual exposure control available on the EOS SL1 / 100D, it’s probably enough for most people. As I’ve mentioned, the D3300 has a built in mono mic but, unusually for an entry-level SLR it also has an external mic socket. Another novelty is the built-in audio level meters which appear on screen when you switch to Live view. Without the means to adjust audio levels, though, the meters wouldn’t be all that useful and I’m pleased to report that the D3300 allows manual adjustment of audio levels prior to recording – they can’t be adjusted once you’ve started recording though. The D3300 offers continuous focussing during movie recording. While this is a great feature in theory it’s somewhat marred by the often frantic continuous focussing adjustment in practice which is not only visually distracting but audibly noisy. While this may not be such a problem with all lenses, on an entry level camera it’s one that most people are going to have to put up with. One solution to this would of course be to make use of the external mic socket, but to be honest, I found the simplest solution was to avoid it altogether and use single AF (AF-S) or manual focus for movies. All of these clips were shot using the Nikon D3300’s 1080p50 HD video mode with the quality set to high. The default AF mode for movies is AF-S, but for this clip above I’ve set to Full-time servo AF. As you can see, like its predecessor, the D3300 has a tendency to jump around in AF-F mode and the noise of the AF motor on the new kit lens is quite distracting. Apart from that, the quality is great and the stabilisation does a good job keeping things nice and steady. For this tripod mounted panning shot I set the focus mode to the default single-servo AF (AF-S) mode which produces a much better result devoid of the frenetic focus-seeking of the previous clip. The mono mic pics up quite a lot of wind noise but at least you have the option of fitting an external shielded one if you want, plus there’s a built-in electronic filter. For this low light shot I’ve once again set the D3300 to AF-S focussing mode. Despite the low light and fairly high sensitivity set by auto ISO, the quality looks good with little evidence of noise. This clip tests the D3300’s continuous focussing capabilities in Live view starting with a close up slightly zoomed in on the coffee cup, then a pan up to the bar before returning to the coffee cup. The Full-time servo AF is pretty skittish – it correctly adjusts the focus in the end, but only after a lot of hunting around and even then it’s loathe to settle. This is something handled far better by the hybrid AF on the EOS SL1 / 100D. For this final clip I put the D3300 into Manual mode and selected 1600 ISO before selecting Full-time servo AF mode with Face priority AF area mode. If you can ignore the noise from the lens AF motor, it actually does a reasonably good job of keeping me in focus, although again the EOS SL1 / 100D is a superior choice if you want continuous AF during movies. The D3300’s info display get’s the same makover introduced on the D5200 with the now familiar 3-dial animated display showing shutter speed, aperture and ISO sensitivity. As on the higher end models you get the option to choose between this graphic display and a classic style with numerical readouts and each is available in a choice of three colour schemes. Shooting mode, drive mode and battery life are displayed above the graphics with the AF area indicator and number of shots remaining below it. At the very bottom of the screen is a two-row grid with other settings. On the top row, quality, image size, White balance, flash mode and ISO, with Focus mode, AF-Area mode, Metering mode, Flash compensation and Exposure compensation on the bottom. The control pad is used to navigate the grid, then a click of the OK button takes you to the menu for changing settings, also navigated with the control pad. This is an improvement on the earlier layout of the D3200, but It’s still a two-click process (not including the control pad navigation) before you get to actually change something. It would all work more simply, quickly and directly if, having pressed the i button to make changes you could use the the command dial to change settings directly (You can do this, but only with the function assigned to the Fn button). That’s how it works on the EOS SL1 / 100D, plus you have the added bonus of a touch-screen on the Canon, making the whole process of changing settings much quicker and more direct than on the Nikon D3300. Nikon’s menu system isn’t as simple and intuitive as it could be. Like Sony, Nikon goes in for a tabbed menu system with long pages that need to be vertically scrolled. The problem with this is that if you’re hunting for something that’s ‘below the fold’ you need to scroll to find it. This takes a lot more time and effort than on the Canon EOS SL1 / 100D which doesn’t fit more items on the screen than can be displayed without scrolling. For novices there’s a much better way to find out what’s what on the D3300 and how to make the best use of its features and that’s by setting the Guide position on the mode dial. This mode guides you step-by-step through shooting scenarios offering advice and selecting the appropriate settings for you. Initially there are three options to choose from, but View/delete and Set up are really little more than simple menus, the Shoot option is where the action is. And it’s divided on two paths – Easy and Advanced operation. Take the Easy option and you’re presented with nine choices from close-ups to distant subjects via sleeping faces, landscapes and moving subjects. Select one and the D3300 selects the appropriate scene mode and asks if you want to use the viewfinder, Live view, or shoot movies. The advanced route offers more interesting creative possibilities including shallow and extended depth of field, freezing people motion, freezing vehicle motion and showing water flowing. Select the latter and the camera sets shutter priority mode and gives you some advice about appropriate shutter speeds and tripods before giving you the option to select one along with a thumbnail to demonstrate the likely results. To get back to the initial Guide mode menu you can press the menu button at any time – the normal menus aren’t accessible in Guide mode. Guide mode isn’t new, and it isn’t perfect. For example, if you tell it you want to shoot moving vehicles it puts the camera in Shutter priority mode and advises you to set a speed faster than 1/1000, but then sits back and does nothing if you select anything slower. But while it won’t suit everybody, as a way to help novice DSLR users get the most from a more sophisticated camera than they’re probably used to while at the same time learning a little about basic photography concepts, its a really good idea that won’t do anything to hurt Nikon’s chances of selling to compact upgraders. The D3300 inherits the same 11-point AF system as its predecessor which uses the Multicam 1000 module with a single cross-type sensor in the middle of the grid. There are three main AF modes: AF-S (Single Servo AF), AF-C (Continuous Servo AF) and AF-A (an Auto mode which selects between them depending on whether the subject is in motion). These are selected from the main information display screen, where you’ll also be offered a Manual focusing option. Like the D3200 before it, there’s four AF Area modes: Single Point, Auto Area, Dynamic Area, and 3D Tracking (the last two only available in AF-A and AF-C modes). In Single and Dynamic Area, you can manually adjust the focusing point using the rocker control, with Dynamic Area also considering surrounding focus points if the subject moves. Like its predecessor, the D3300 exclusively relies on contrast-based AF in Live View, with the choice of four modes: Normal Area, Wide Area, Face Priority and Subject Tracking. Also Inherited from the D3200 is the choice of AF-S (Single) or AF-F (Full-time Servo) in Live View, where the latter attempts to continuously autofocus, plus there’s also the option to focus manually in Live view. In practice the D3300’s AF is swift and reliable, though less snappy than the higher end consumer models that are equipped with a larger number of AF points. I didn’t have a Mk1 18-55mm kit lens available to test whether the new VR II lens is any faster, but focussing through the viewfinder compared with the Canon EOS SL1 / 100D kit, the Nikon D3300 was just a fraction slower in most situations. In Live view the SL1 /100D’s hybrid AF, which employs phase detect AF points on the sensor was faster and more reliable for stills shooting. And for continuous AF in movie mode, though not perfect by any means, the SL1 / 100D’s hybrid AF is superior to the contrast detect only system on the D3300. The magnified focusing assistance is also cleaner and more detailed on the Canon than the Nikon as usual. 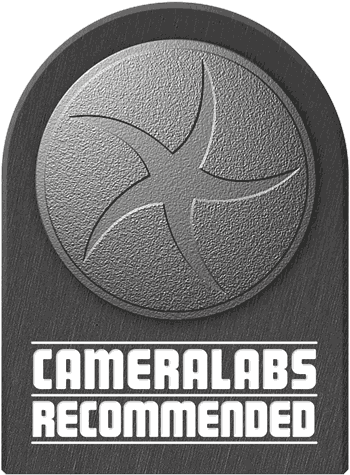 But if you’re serious about movie making, or simply prefer composing with the screen over a viewfinder, a mirrorless system camera remains a better option than a budget DSLR. With each iteration of its entry level DSLR Nikon makes a marginal improvement to its continuous shooting speed. The earlier D3200 extended the continuous shooting capabilities of its predecessor from 3fps to 4fps and the D3300 increments it again from 4 to 5fps. A button on the rear panel activates a menu with the continuous shooting mode alongside self timer and remote options. There’s only one 5fps mode with focus locked on the first frame but exposure metered between shots. To test the D3300’s continuous shooting I fitted it with a freshly formatted Sandisk Extreme Pro UHS-1 card. With the D3300 set to Large Fine JPEG mode and the shutter speed set to 1/500, I held the shutter down and the D3300 fired off around 70 frames at a regular rate which I timed at almost exactly 5fps. After that the rate became slower and a little erratic until the usual Nikon burst limit of 100 frames was reached. In my tests with the EOS SL1 / 100D, it delivered its quoted speed of 4fps (or slightly quicker) in all image quality modes. It also performed as quoted for capturing seven RAW files, but exceeded the quoted buffer for JPEGs, capturing 36 in my tests. So in terms of JPEG buffer and JPEG speed, the D3300 is deeper and a little faster, but for RAW shooting they’re almost exactly the same. Almost every digital camera employs a low pass filter to slightly blur the image before it’s recorded by the sensor. This is to counteract the effect of moire where fine patterns like textiles, distant fencing or roof tiles can trigger an interference effect with undesirable shimmering; you may have seen this on TV when someone wears a striped shirt. But as resolutions and pixel densities increase, these fine patterns are being resolved successfully which begs the question why are we still blurring the incoming light? With the COOLPIX A, D7100, D5300 and now the D3300 opting to omit the optical low-pass filter it’s looking increasingly like Nikon no longer views it as necessary. 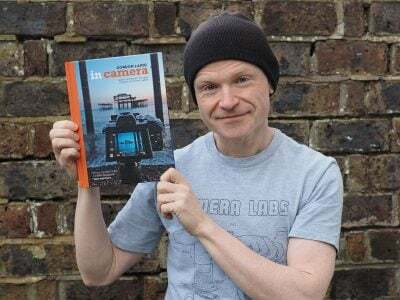 This makes sense as it allows the camera to deliver potentially sharper images than traditional 24 Megapixel models without unnecessarily boosting the resolution; you can find out how it compares in my results pages. It’ll be interesting to see if other companies follow-suit. In the meantime in the increasingly unlikely event of an image suffering from moire, you can reduce it in software using Capture NX. The D3300’s shutter speed range is from 1/4000 to 30 seconds plus bulb and its sensitivity range is 100 to 12800 ISO plus hi (25600). To see how the quality of the Nikon D3300 measures-up in practice, take a look at my Nikon D3300 quality and Nikon D3300 noise results pages, browse my Nikon D3300 sample images, or skip to the chase and head straight for my verdict.